Association for Mental Health in Forssa Region is a regional body of the Finnish Association for Mental Health, FAMH . We operate within Forssa, Tammela, Jokioinen, Ypäjä, Humppila and Urjala municipalities. Our main goal is to improve the mental well being in the local community. We offer you rewarding and important voluntary service. We give courses and turn people into voluntary support workers. Our volunteers work as personal support workers and as group instructors in a variety of groups. (Currently the courses are only available in Finnish) We also need volunteers for a variety of tasks, from making coffee to work as representatives at different fairs. We welcome you to work voluntarily with us for an important task! To travel together with our neighbours – in everyday life! You are needed! We offer you support in a variety of crisis, e.g. in divorce, case of sudden unemployment and other sudden changes in life. We offer you “low-threshold operation” within a variety of groups, events and lectures. You should also check the links (Linkit)-section in which you may find interesting and helpful sites as well as our cooperative partners. The links open in a new tab. Full listing of the groups can be found at the ryhmätoiminta section. Our groups are always free of charge! 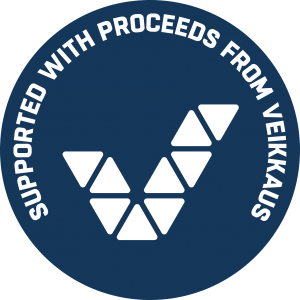 As a non-govermental organisation Association for Mental Health in Forssa Region is supported by Ministry of Social Affairs and Health, with proceeds from Veikkaus.